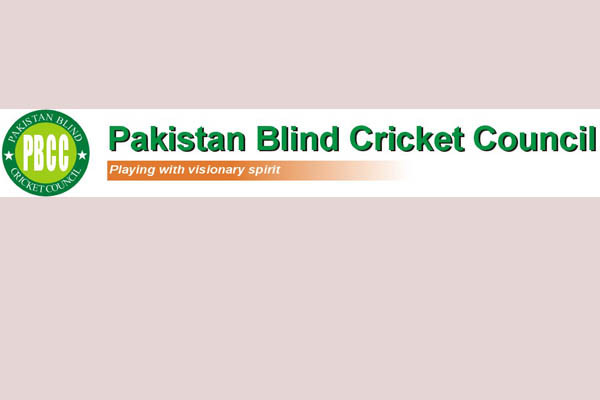 ISLAMABAD, Jun 24 (APP):Pakistan Blind Cricket Council (PBCC) Sunday shortlisted 32 women players for training camp (Phase-I) to take place at Abbottabad from June 30 to July 5. In the camp female players and nine coaches will get training about rules, techniques and method of cricket for the visually challenged, said a press release issued here. The Phase-II of the camp will take place in Lahore in September in which the next group of 35 women players will get training. Nafees Ahmed the Head Coach of Pakistan Women Blind Cricket Team will supervise the camp. The players include Rabbia Shahzadi B2 Lahore, Saba Gul B2 Lahore, Mubeen Javed B1 Lahore, Tayyaba Zafar B2 Lahore, Farmina Sher B2 Lahore, Reena Sher B2 Lahore, Bushra Zahoor B1 Lahore , Sadia Khalid B3 Lahore, Aqsa Arif B1 Lahore, Sumiya Mumtaz B1 Lahore, Rabia Javed Hashmi B2 Lahore, Robina Aslam B2 Lahore, Kiran Shahzadi B3 Faisalabad, Arzoo B2 Faisalabad, Aqsa Tabassum B2 Faisalabad, Maria Arshed B2 Faisalabad, Saba Shaukat B1 Rawalpindi, Kiran Rafique B3 Rawalpindi, Nimra Rafique B1 Islamabad, Sajida Bano B2 Karachi, Anum Zakir B2 Karachi, Maria Zakir B3 Karachi, Hawra Murtaza B1 Karachi, Anila Rasheed B2 Karachi, Laiba Ghanyani B1 Karachi, Tayyaba Fatima B3 Attock, Maria BiBi B2 Attock, Amina BiBI B1 Attock, Shabnam Sharif B3 Bahawalpur, Iqra Inayat B1 Gujranwala, Munaza Ilyas B2 Gujranwala and Bushra Shahzadi B2 Gujranwala.